The first Hilux was launched back in 1968 and the Toyota has proved one of the toughest pick ups ever since. 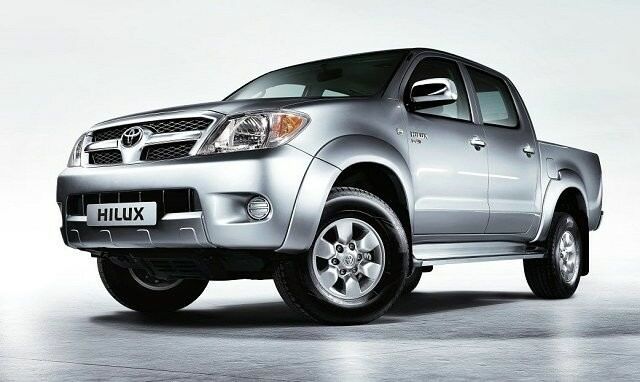 You could say the Toyota Hilux has something of a lengthy history and heritage. The first model was launched back in 1968 and the Toyota has proved one of the toughest pick ups ever since, as proved by Top Gear and its crazy antics. In fact the company has sold over 13 million examples worldwide, and this model, which is available in a variety of specifications and body styles, enjoyed success thanks to tax-break loopholes. The first thing you have to decide if you’re in the market for a Hilux is whether you need a single cab or a double cab. It’s the latter that is more useful (and more common on the used market) thanks to the flexibility offered by the extra row of seats. It’s also the reason many took advantage of the tax breaks and ran these as both a family car and commercial vehicle for their business. All are four-wheel drive, as you’d expect, but there was a choice of five-speed manual or five-speed automatic gearboxes - the latter only available on the double cab model. Two four-cylinder diesels, a 2.5-litre and 3.0-litre, were available throughout the Hilux's life-cycle - with most recent examples packing 142hp and 171hp respectively. Choosing between trim levels is a little more difficult, with the firm applying a variety of badging throughout its lifetime. As a general rule the RC, HL2 and DLX models are the most basic, with the SR5 and HL3 models a little more luxurious. You’ll also find the odd Vigo or Invincible model for sale on the used market, both adding equipment and trim to the basic specification. Whatever you do, pick the double-cab as its far more useful, and will always be worth more when you come to sell it on again. Neither engine endows the Hilux with exciting performance, so we’d suggest you stick with the 142hp 2.5-litre unit and enjoy its greater economy. And in terms of specification the Invincible models with their leather interior, climate control, satnav and cruise control prove the most attractive. As with any pickup it’s wise to find one with a truck cab rear or roll-top load bay shutter already fitted. There’s actually more choice in the used pick up market than you’d expect - from the Ford Ranger to the Nissan Navara - but none have the history, heritage and reliability of the Toyota. Sure there are more refined SUVs out there, but none with the capability and price tag of a used Hilux, a car that could become a trusty friend for life.